With a former Congress strongman coming back to the party, the party hopes that the arithmetic will work against KCR. "Feel free to drive straight past, but don't stop in front of it, or it will become a hassle," a police officer warns with a warm smile, as he checks the credentials of people before letting them pass through. As one crosses the village of Erravalli in Telangana, one of the most looming structures that they would encounter would be the personal farmhouse of Telangana Chief Minister K Chandrasekhar Rao. High walls and barbed wire are the first sights to greet you, followed by watch towers guarded by armed policemen, who look menacingly at each vehicle that passes by. "He has been spending a lot of time here since the Assembly was dissolved. Many senior leaders are coming and going, but we are just as clueless about what is happening inside as someone sitting in Hyderabad," says a local resident. KCR as the CM is more commonly known as, is taking no chances as he is up for re-election for a second term from the Gajwel Assembly constituency. He has even decided to appeal to the gods. Earlier this week, the farmhouse, situated in Siddipet district, witnessed quite a spectacle after KCR, known to be deeply superstitious, performed two massive rituals; the Raja Shyamala Chandi Homam and Chandi Sahitha Rudra Homam, accompanied by TRS leaders with the hope of storming back into power in the state. The fight for Gajwel is not going to be an easy one for KCR as he is up against Vanteru Pratap Reddy, a local strongman who has defected to the Congress from the TDP and has been campaigning ever since the Assembly was dissolved on September 6, months before he was announced as a candidate. On a junction that leads to Gajwel town on the Hyderabad-Siddipet highway, a vehicle decorated with Congress colours is busy campaigning for the party. "KCR is busy appealing to the gods because he knows that only a divine power which can save him. The people with the real power in the election are the voters and that's who we are appealing to," says a local Congress worker, as he hands out pamphlets at the bus stop. Pratap has been a long-time politician who has worked his way up from the grassroots level and has been projecting canvassing on the basis that he is from the area. His supporters are telling voters that Pratap will be available to the public at all times in Gajwel itself unlike KCR. "He's always led the protests against development projects that were against the interests of the people and even bore the brunt of many lathicharges for us, but people are still likely to vote for KCR only," says one shopkeeper in Gajwel. In 2014, despite being in the TDP, a party considered against the formation of Telangana, Vanteru got 34.48% of the vote share in Gajwel against the Chief Minister's 44.42%. 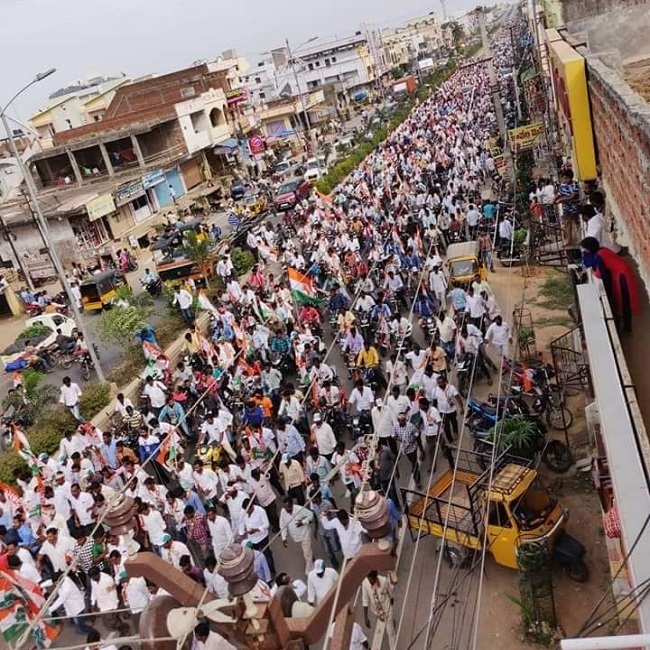 Observers say that he had lost on the votes as former Gajwel MLA Narsa Reddy, who was with the Congress at the time, had upset his calculations and split the votes. Narsa Reddy had joined the TRS in 2014 and KCR had made him chairman of the Telangana State Road Development Corporation. However, the Congress this time, received a boost as Narsa Reddy rejoined the party. 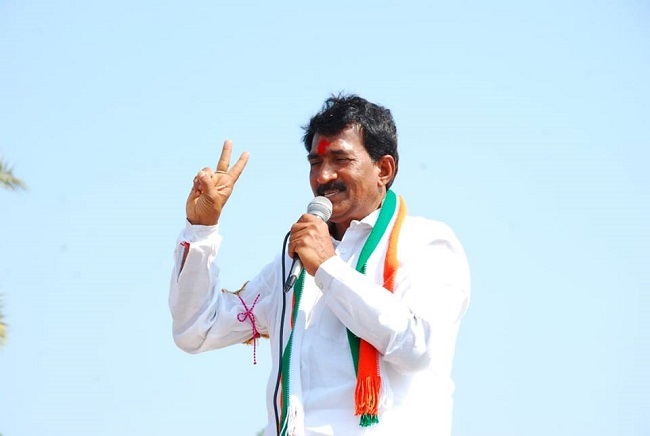 Speaking to a local media outlet before he joined back the Congress, Narsa Reddy said, "In 2014, after I lost to KCR, I joined the TRS with the hopes that the people of Gajwel will benefit and prosper. However, I feel that KCR is being distant from the people and not paying attention to their issues." KCR had won from Gajwel with 86,694 votes, while Vanteru Pratap Reddy secured 67,303 votes and Narsa Reddy ended up with just 34,085 votes. With Narsa Reddy now throwing his weight behind Vanteru, the Congress now believes that they may have a shot at defeating KCR. Analysts also point to the history of the Gajwel Assembly constituency. Since 1978, no sitting MLA in Gajwel has managed to retain their seat for two continuous terms. While the same leaders have managed to get reelected, there has always been a term or two in between, where they faced defeat. It is this very spell that KCR will be hoping to break. KCR has never lost an election in his political career, except his first one in 1983, where he lost to his mentor Madan Mohan from the Congress. After serving five terms as an MLA from Siddipet, two terms as an MP from Karimnagar and one term as an MP from Mahabubnagar, in 2014, KCR had contested from two seats, Gajwel and Medak, while riding on the statehood wave. While he managed to win both the elections at the time, this time, KCR is adamant that he will only contest from Gajwel and prove to critics that he continues to enjoy the people's support. 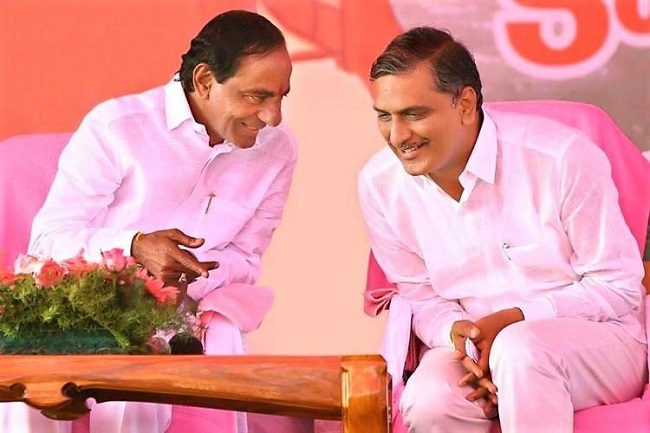 The man tasked with ensuring TRS' win in the constituency is KCR's nephew and one his most trusted confidantes T Harish Rao. Harish, who was entrusted with the post of Irrigation Minister in the TRS regime, one of the most important roles in the newly-bifurcated semi-arid state, has been on a whirlwind tour campaigning for KCR. While critics claim that KCR is inaccessible and does not have the mass appeal that he once had during the Telangana movement, supporters say that he enjoys the good will of the people and will be elected back into power with a sweeping majority. Read TNM's full coverage of Telangana Elections. Click on our special page.